This pattern is my favourite and should be named ‘lots of possibilities’. You can use only one color, two or more sues and each time be sure it will looks gerogeus. This beautiful and famous pattern that has been circling around for a considerable length of time has been composed and re-composed by many individuals. This is a truly fun and simple pattern once you get its hang, and it works up rapidly to make a truly sweet present for an infant or pretty much anybody… who doesn’t love a hand made delicate cozily cover? 🙂 We prepared for you easy pattern in American English terminology and two video tutorials – for shells stitch blanket in one color and for shell stitch blanket using two colors and more. For more free designs every day follow us on Facebook. The links to the free pattern and tutorials are below. Beautiful Shells Stitch Blanket – free crochet pattern is here. 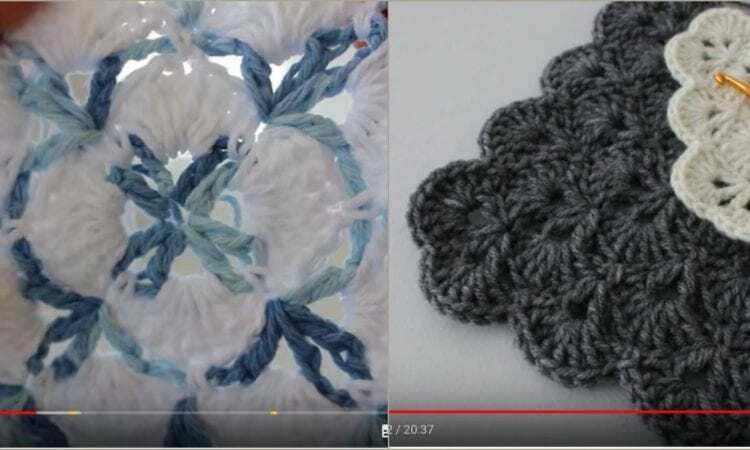 Video tutorial for Beautiful Shells Stitch Blanket in ONE Color is below.